(Natural News) Is cancer genetic? While many people believe that cancer simply runs in their family, science tells us that very few cancers are actually caused by genes inherited from our parents. In fact, estimates suggest that only about 5-to-10 percent of all cancers stem from an inherited gene. Even the National Cancer Institute admits the fact that hereditary cancers are, in reality, quite rare. In spite of this, many people wrongly believe that they are doomed to get cancer just because a family member had it. But as the American Cancer Society notes, cancers that appear to run in families are not inherently caused by faulty genes. Families often share similar lifestyle habits — whether it be in regards to diet, exercise, tobacco use or alcohol consumption, these are all things that can influence your cancer risk independent of your genetics. It’s well-established that kids often pick up on their parents’ habits. By definition, cancer is a genetic disease — but not in the way we typically think of “genes.” This too can be confusing; we often think of genes as being what we inherit from our parents and pass down to our children. But your genes are so much more than that: They are the blueprint which lays the foundation for every cell in your body. Cancer is caused by changes to genes which disrupt the way your cells function, particularly regarding cell growth and division. In this way, cancer is a “genetic” disease — if effects genes. But for the vast majority of cases, these are not cellular changes passed down through families. As the American Cancer Society explains, most cancers are caused by acquired mutations. These kinds of mutations are changes that are acquired throughout the course of a lifetime — often thanks to exposure to carcinogenic substances. Whether it be the food you’re eating, the cigarettes you’re smoking or the pesticides you’re spraying on your lawn — these are the kinds of things that silently cause cancer over time. Natural News has reported on cancer-causing foods and chemicals for years, and even the lowly cancer industry admits that these are things that cause cancer. Yet few people are truly aware of this fact, and many erroneously believe that if cancer runs in their family, they’re out of luck. The truth is that nearly half of all cancers can be directly linked to lifestyle factors — with some research suggesting that figure is even higher. 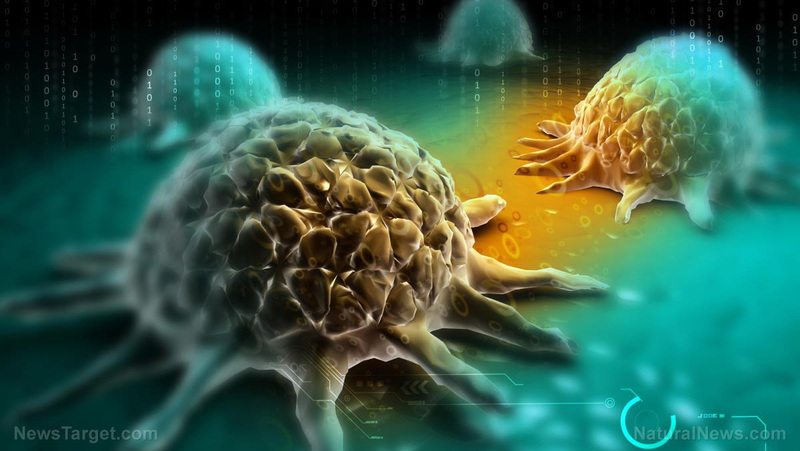 Some researchers believe that upwards of 90 percent of cancers are caused by some sort of controllable factor. These are not genetic cancers — they are cancers caused by the litany of toxins we expose our bodies to, in one way or another, on a daily basis. Indeed, there is no shortage of cancer-causing chemicals in modern life; from added sugars and artificial dyes to pesticides and herbicides, these hazards are virtually everywhere. And to make matters worse, modern medicine often relies on more cancer-causing chemicals to treat disease. Fortunately, there are alternatives. Read more stories about cancer myths and truths at Cancer.news.